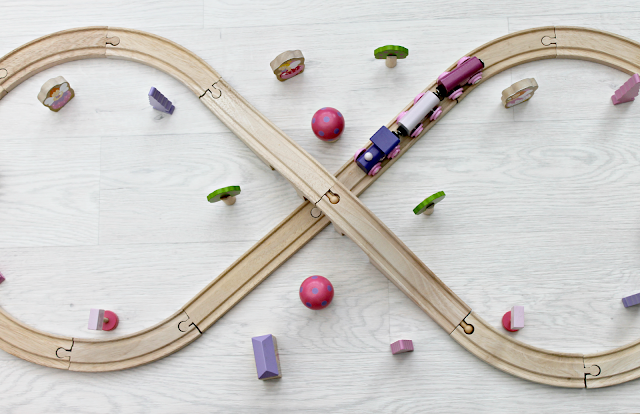 I usually stick to the same skincare and make up routines, with a minor tweak here or there, but over the past couple of month's especially throughout the month of February I discovered a few new products, that soon became part of my staple routines. 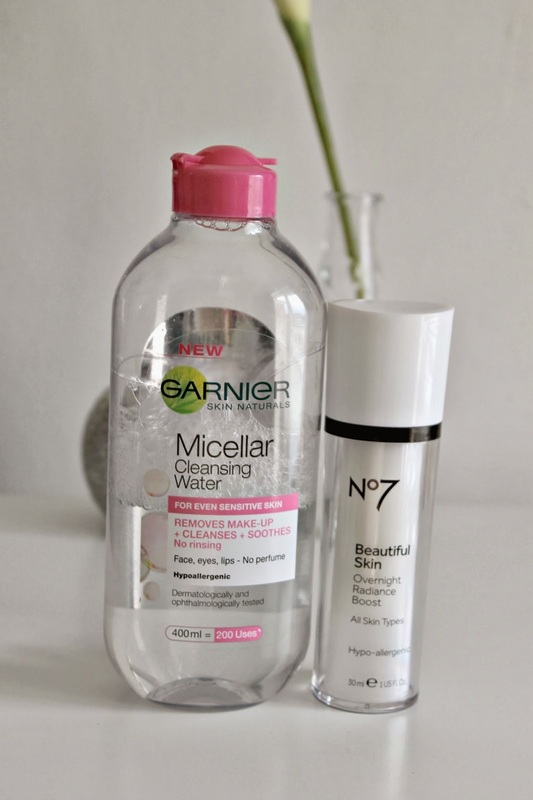 I lusted after Bioderma and fell in love with the L'oreal micellar water, but with such a big hype surrounding the Garnier Micellar Cleansing Water I had to jump on the bandwagon. Although I don't see any particular difference between this one and the L'oreal version, with this one you definitely get more for your money, and with me using this every morning and night as a pre-cleanse this is the one for me. Zoe from Zoe Lou and The Beauty Blog raved about the No7 Beautiful Skin Over Night Radiance Boost here and completely sold it to me. I use this every evening after cleansing but before my moisturiser and it keeps my skin super hydrated, soft and plump. However what I love most about it, is that it keeps my spots at bay whilst also reducing the appearance of the spot scars I have despised for so long. The Max Factor Face Finity All Day Flawless Foundation claims to be a primer, concealer and foundation in one, which is a pretty big statement however I have actually really been loving this foundation. Applied with the Real Techniques Miracle Complexion sponge it is the perfect combination for a flawless base! 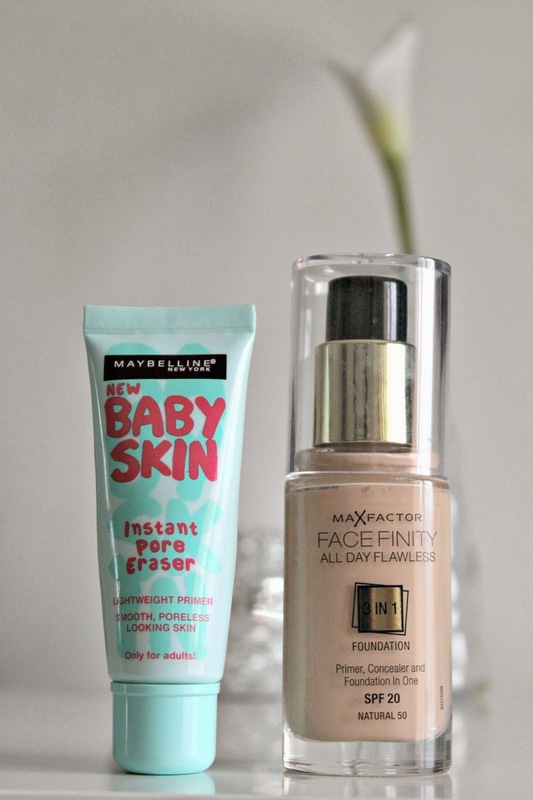 When I'm not using the Max Factor foundation, I love using the Maybelline Baby Skin Primer with my Mac Studio Sculpt Foundation. This primer makes your skin super smooth making it easier to apply your foundation, or you can wear it alone. 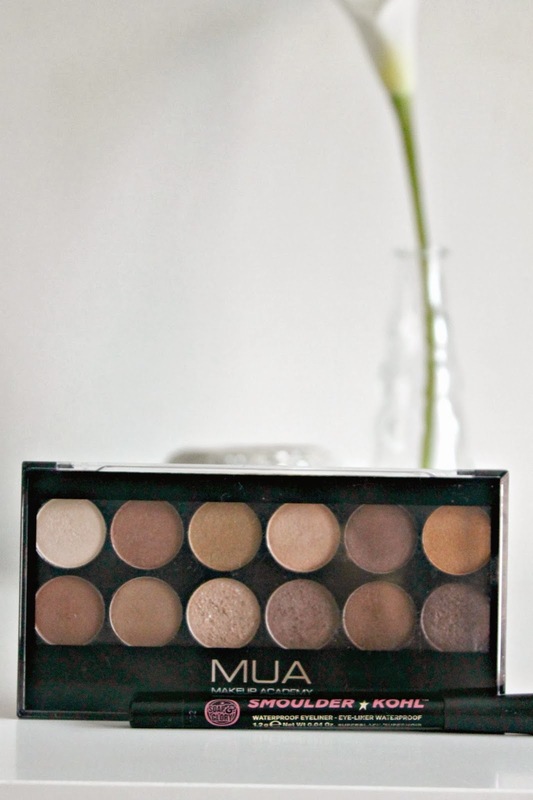 I wear my Mac eyeshadow's almost daily and nobody says a word, however since I've started wearing colour's from the MUA Heaven and Earth Eyeshadow Palette I have been getting quite a few compliments! I will be doing a full review of this palette soon. The Soap & Glory Smoulder Kohl eyeliner is one that I used to swear by, however when I lost it, I also lost interest in wearing kohl eyeliner too. Then last week I found it in my mamas car?! And I rekindled my love for it! 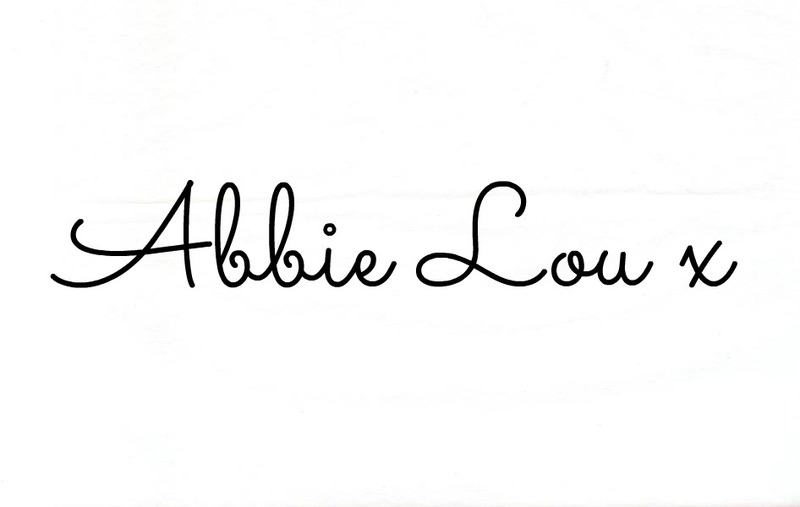 It's a smooth kohl that stays put on the waterline and doesn't smudge or irritate the eyes. Having dry lips on a constant basis no matter how much I exfoliate and moisturise them, means that any lip products that glide on my lips without sticking are like heaven to me. Hence my obsession with the new L'oreal L'extraordinare Liquid Lipsticks which leave a high gloss shine, smell amazing and have pretty great staying power for a lipstick of it's kind. 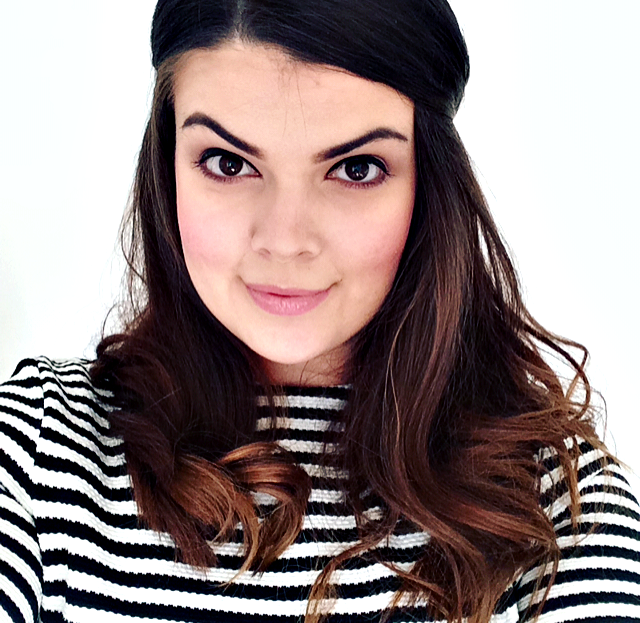 Another 'Zoe made me buy it' product that is also kind to my lips is the Soap & Glory Matte FabuLipstick in Pom Pom. 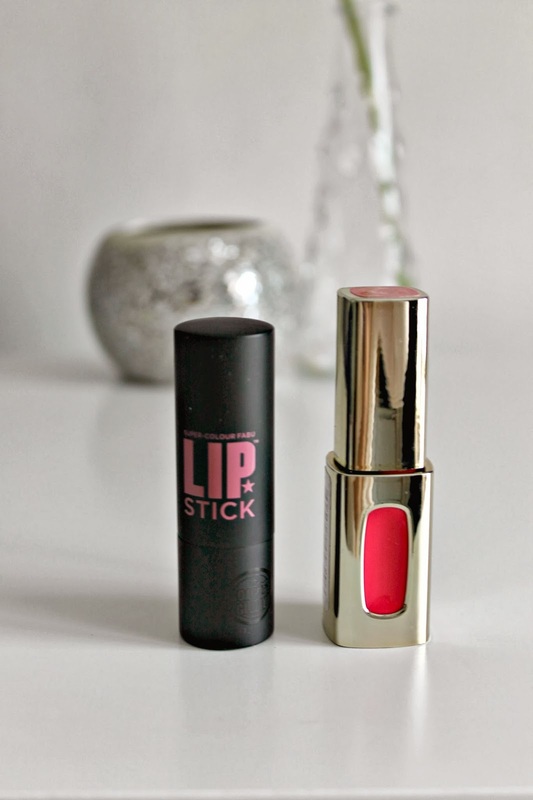 I love a matte lipstick but my dry lips means that a matte lipstick usually sticks, however I was pleasantly surprised to find that this one is super moisturising, it doesn't stick to any dry areas and it smells like vanilla, at least I think it does. So there you have it, how did I do? 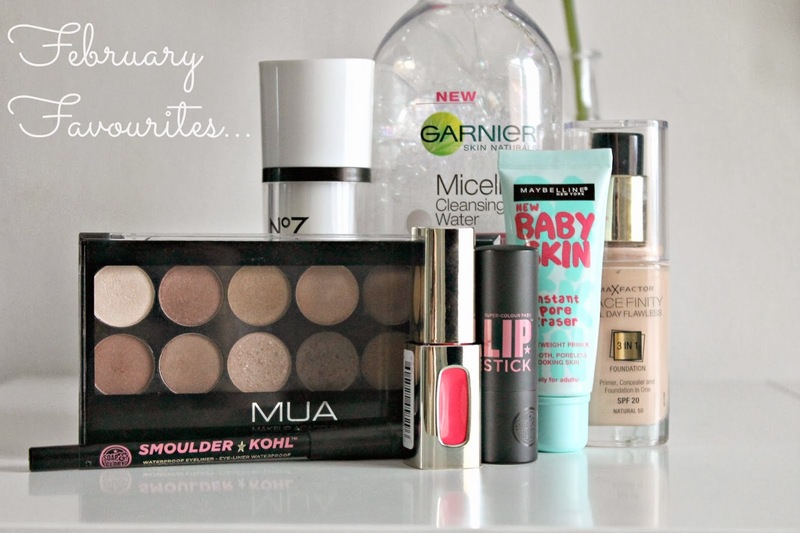 Have you written a monthly favourites post?